What did you love best about Ego Is the Enemy? The book has a great message that everyone ought to hear, especially since we live in a world with social media and the power to craft your self-image and story. It's helped me out a lot in the way I view myself, and I've already noticed things about my behavior I could change to keep my ego under control. What insight do you think you’ll apply from Ego Is the Enemy? Unfortunately the performance is incredibly dull and unprofessional. He mumbles, he speaks too quickly, he's monotone, and overall he sounds like a robot reciting words on a page rather than trying to tell a story. This is a prime example of how to not narrate an audiobook. Halfway through I was dying to just get to the end because I didn't want to listen to his boring voice anymore. The sad thing is that in the closing interview portion with Tim Ferris, you can hear Ryan Holiday speak with a natural conversational tone and a sense of fervor that isn't present in his audiobook performance. Ryan Holiday, if you're reading this, the next time you narrate an audiobook, try reading it as though you're speaking to a friend. 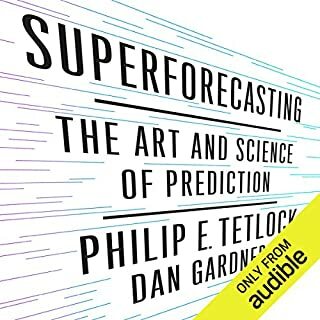 I think I'll pick up a copy of the book because I did enjoy the content, and it's enough to save this audiobook. I honestly feel sad for anybody who passed up on this audio book, based on the previous negative review. This guy accomplished more in his life than most people ever will. He's qualified to talk about ego. This recording changed my life. Read. it took time to get used to the voice. I would have preferred another narrator. I bought this book a rather strong recommendation by Tim Ferris. Tim went down in my estimation with this glorified essay. The content is thin, the point is obvious. There seems to be a trend at the moment in taking classic knowledge (Ancient Roman / Greek) and rehashing if for anxious West Coast / Bay Area types. This book makes you feel a little bit embarrassed for the author. Ego is the Enemy...could have been a one pager on a blog. Ryan certainly has an audience. The sheer number of positive reviews on here swayed me. I'll be more careful in future. Word of warning on narration. Ryan did a selfie on narration. It's terribly self conscious and adds to the hollowness of the content. this book provides an amazing array of anecdotes and advice for pushing ego aside in favor of a dispassionate view of reality. our society parts us on the back so much that we all believe we are the best, and we kill ourselves getting to prove it. instead, take a step back and realize how much you still need to grow, and take the time to do the growing. I only made it two hours into this book before I had to turn it off. I did not like it. It seems to bounce from quote to quote with filler in between like a college freshman trying to hit a minimum page requirement. It would have been better off as an essay or blog post. I bought this book base on the positive reviews, and clearly there is an audience out there for it, but it's not for me. This is the book you wish you could find in the Self Help or Christian Living section. Refreshing, therapeutic, well researched, well written. This is the rare listen which is good for the soul and the mind. Performance gets a hit because the book length is misleading. It's only 5.5 hours, with interviews and whatnot following. This book is not my usual fare, but when I heard about it on The Joe Rogan Experience, I decided to give it a shot. 6 hours of listening for $10, what was there to lose? It was absolutely worth it. I think most of us know several people in our lives who would benifit from reading Ego is the Enemy, but the person who needs it most may just be you! I love the way this book was broken down. Great quotes and examples by a thoughtful, articulate author who staves off hubris. Essentially it's nice to get helpful examples on life improvement from someone who gets it, but still stumbles. Great stuff. Audio extra w Tim Ferris was a great addition. Well worth the credit. If you have an open mind, get this book! Inspired some self reflection for me. This book gave me pause, reason to want to be more ego-aware, and a new vocabulary for talking about ego. Surrounded by high achievers, it's easy to get lost in the rat race and not stay grounded. This book helped me see where I had/have drifted from my principles. There are 2 books I wish I had the talent to have written. This is one of them. I learned so much from my first listen. I've just finished my 4th in 2 weeks. It's been very uncomfortable as I was able to play back my many mistakes in full, gory detail to understand why I'd created the conditions I was hoping I wouldn't. A fabulous book but not for the faint hearted. Essential listening for artists, makers, doers and entrepreneurs. Probably worth listening to twice and would recommend doing so. I really enjoyed this book. 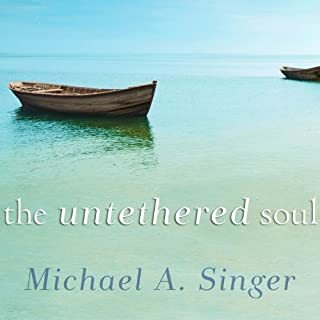 Always nice when narrated by the author and the stories used really brought the stoic and Buddhist philosophy lessons to life. Would also give a shout out to the brilliant bibliography and quotes that you can download from his website. 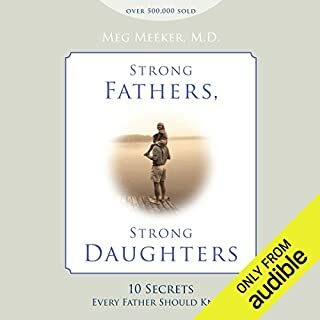 Very thoughtful of the author for those listening via an audiobook. A great rules & stories of defeat & achievment.Take a courage & discover your possibilities. You know the saying 'self help is just a reiteration of the obvious'? Well this is just that. Everything is true and can be derived from personal experiences and life in general. The performance was good and intimate but the message got very repetitive very quickly. If you could sum it up in one word, it's humility. Simple as that. No more, no less. Entertaining but ultimately fluff. I don't think Ryan is a bad guy, for some they might need this book. I guess it wasn't for me. If you could sum up Ego Is the Enemy in three words, what would they be? What was one of the most memorable moments of Ego Is the Enemy? 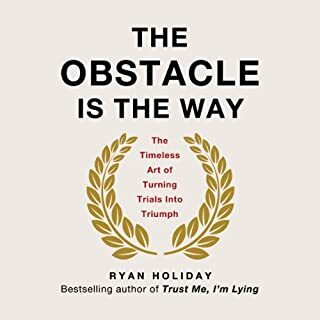 What does Ryan Holiday bring to the story that you wouldn’t experience if you had only read the book? His emotion and emphasise on certain sentences and words. It made me smile and sigh. Get it and listen through. Also get Obstacle. Very easy and simply written. Perfect for all young people who are starting out and a good slap around the face of those who are elder and think they shouldn't bother and don't need to read these books. Ryan has done an awesome job of curating and interpreting some of history's greatest lessons in a series of digestible anecdotes. Highly recommended reading/listening for anybody looking for guidance in a professional or personal capacity. The ego is the enemy, while following a relatively simple premise, manages to be as confusing as possible when it comes to actually conveying anything of value other than a few extremely trivial opinions and anecdotal advice. Not worth time or money. If English is your second language this book will be a bit of a challenge to listen but you can still get the point. I can suggest you listen to last chapter, which is the interview, first to get an idea about what is going on with the characters. Because if you are not born in America, I assume, you would not know these people. Maybe there were enough explanations but my English did not help me to grasp the full image as early as the book expected me. That was my challenge otherwise the insight I got from this book will remain with me. At least once per day there is a situation for me that I repeat it to myself: ego is the enemy! I can spot it and try to prevent it for good 😊 a deeper level of awareness. This book has been a HUGE game changer for me! I identified with so many things in here it's hard to nail down any one lesson that resonated the most. Thank you for this amazing piece of work and I look forward to listening to The Obstacle Is The Way next. This book is probably great for certain groups of people. e.g ambitious 20 year olds or those who have serious problems keeping their ego in check. There is some good advice here, but I couldn't relate enough to what the author was saying for the book to sustain my attention. I am a 19 year old university student, I have found myself getting caught in my own head and re-reading the obstacle is the way and reading ego is the enemy have helped immensely! Definitely picking up in a great way where the obstacle is the way left off! Did not enjoy the audio. Tone of voice was monotonous and struggled to stay engaged. It definitely changed my life and the concept i had of ego, totally different now. 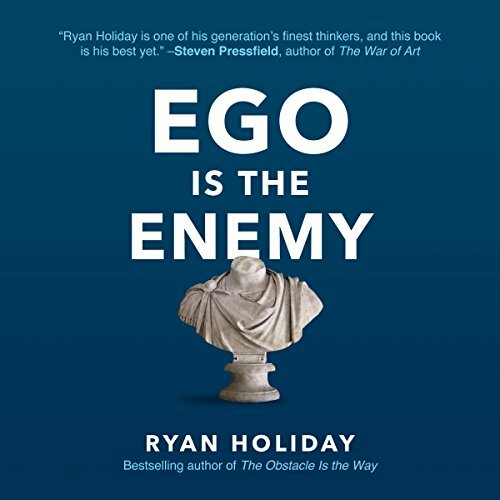 This book helped me realise how detrimental my ego has been in my life and would continue to be had I not listened to Ryan Holiday's wise words. 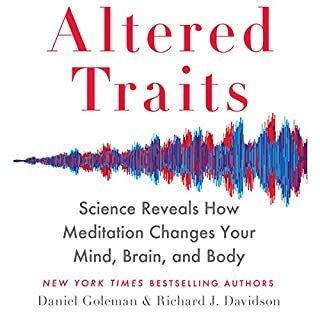 It would be extremely difficult (if not impossible) to eradicate my ego, but thanks to this book, I can now identify where and how my ego hinders my life and thus gain control over it. I plan to listen to this book a couple more times and will probably continue to do so throughout my life. Thank you Mr. Holiday. Fantastic book, genuinely life changing. 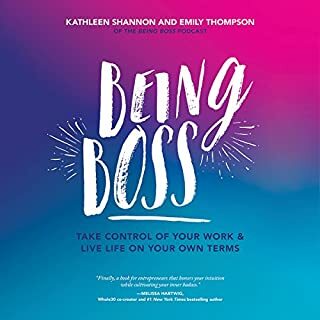 This book is a modern day bible for the 15-30 year old looking to succeed, if you have aspirations this will manage and increase them though ego management.